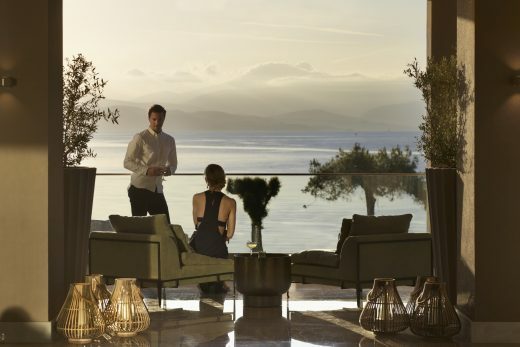 Ikos Dassia takes guests on a journey of gastronomic delight from Michelin-starred menus to the finest local cuisine. Six à la carte restaurants and the renowned Dine Out experience, introducing you to the best local restaurants, ensure you are truly spoilt for choice. Reservations are recommended. 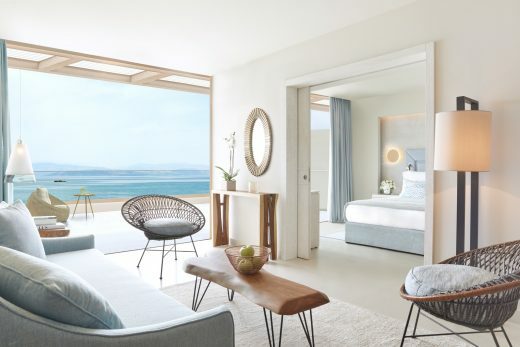 The 600m long exclusive beach area offers an unspoilt stretch of fine white sand framed by fragrant pines and olive trees. Unwind on the luxurious sunbeds and take your pick of the refreshing drinks and snacks delivered directly to you by our beach team – all part of our Infinite Lifestyle offering. 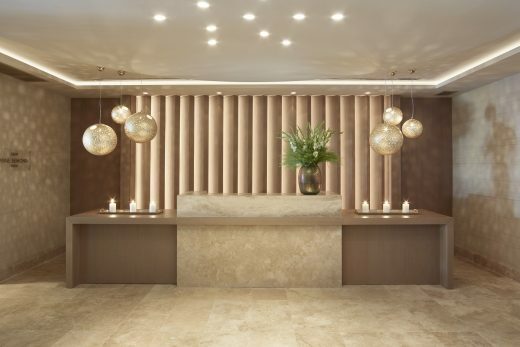 The Ikos Spa by Anne Semonin is a space in which to relax, rejuvenate and refresh. The experienced therapists and tranquil environment are complemented by treatments from the renowned French beauty brand to leave you feeling like you've really had a holiday. 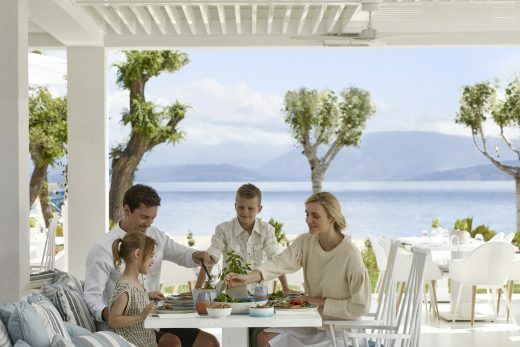 We make sure your entire family can have a memorable stay at Ikos Dassia. Children of all ages have so much to look forward to with a fantastic programme of organised fun events and games, every day of the week. While parents can relax knowing their loved ones are in very safe hands. 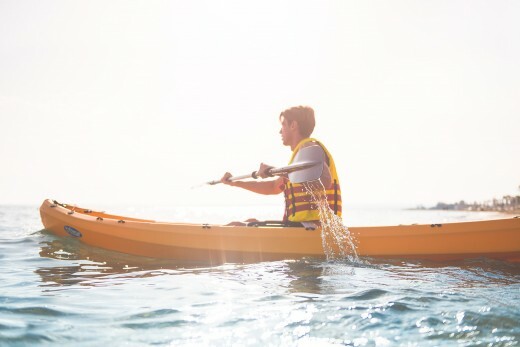 In or out of the water, there's a whole world of activities to enjoy at Ikos Dassia. Hone those tennis and football skills, explore the island on a bike or join a relaxing yoga session. Or try your hand at something new such as Greek dancing or water polo. 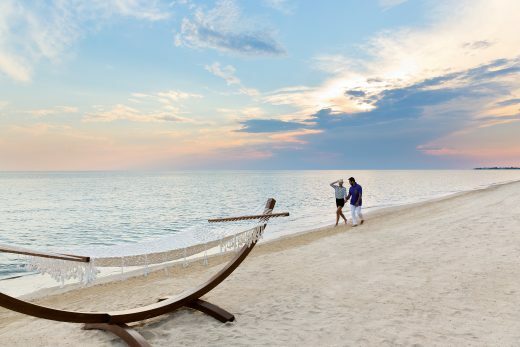 There's so many ways to enjoy yourself, with so much of it part of the Infinite Lifestyle offering. The beauty of Ikos Dassia is the sheer choice of entertainment. Enjoy the vibrant nightlife – shows, music and dancing – or simply relax with the refreshment of your choice in one of the fabulous indoor or outdoor bars. Ikos Dassia brings together the experience and expertise to ensure every event is truly special. From unforgettable weddings to corporate meetings, our team is there to make sure it's a success.